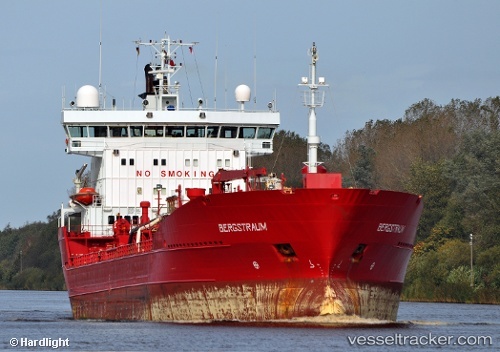 On June 17, 2017, a crew member of the "Bergstraum" which was berthed in the port of Cork has been airlifted to hospital with a suspected broken leg after an accident on board the vessel. The casualty was winched from the bow of the Norwegian-flagged oil and chemical tanker which was berthed at the Tivoli docks east of Cork city around 7 p.m. this evening by the crew of the Waterford-based Coast Guard search and rescue helicopter, Rescue 117. The crewman suffered the leg injury when either a cable or rope snapped as he worked on board, striking one of his legs. Members of Cork City Fire Brigade and Crosshaven Coast Guard attended the scene. But the fire service was unable to remove the casualty from the vessel safely.